Adam brings more than 30 years of experience in public sector education to Taft's Public Law and Education Litigation practice areas. He focuses his practice on representing public governmental entities, including local, city and exempted village school districts, single and multi-county educational service centers, joint vocational school districts, regional councils of government (multi-county public safety) and educational associations. An alumnus of the U.S. Army War College, Adam is an active member of the United States Army Reserve Judge Advocate General’s Corps. With more than 22 years of military service, Adam has served with the 10th Mountain Division during his deployment to Afghanistan in 2004 and was promoted to full colonel in 2018. He is currently serving as commander, 87th Legal Operations Detachment, U.S. Army Reserve Legal Command, headquartered in Salt Lake City, Utah. In 2012, Adam helped start a statewide nonprofit organization dedicated to serving the legal needs of veterans and military families. In addition to his legal career, Adam is a former elected school board member, k-12 public school teacher and local superintendent of schools. He counsels school district leaders in legal matters such as labor contract negotiations, student legal issues, administrative contracts, student data and privacy matters, public records, competitive bids/procurement, board of education policies and governance, sunshine law/executive session, parliamentary procedure, arbitrations and education sector litigation. Adam is particularly versed in the legal aspects of education grants, school finance, community and alternate schools and their impact on traditional public school district operations. Adam has successfully worked on several large-scale school facilities projects exceeding 100 million dollars. Adam contributes his talents to many organizations. He is active in associations for military members and veterans. He serves as a leader in the Columbus, Ohio Hilltop Kiwanis Club. 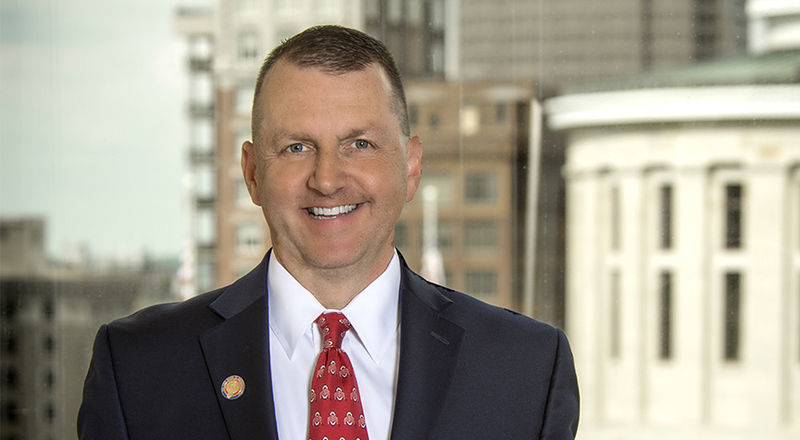 As an Ohio State Representative for the 17th District of Ohio, Adam is also a member of the Veteran's Caucus, National Council of State Legislatures. Armed Services and Homeland Security. Federalism and Inter-State Relations (ranking member). Joint Correctional Institutions Inspection Committee.